Do you have a technology to remove excess phosphorus from freshwater bodies? - Swiss - German phosphorus recovery workshop and EU research & development meeting. More information and the programme are online. To participate register via this link. Belgium-based Prayon Group is one of the world leaders in phosphate creativity, with more than a century of industrial experience. Prayon Group is owned jointly by the Office Chérifien des Phosphates (OCP) and the Wallonia Regional Investment Company (SRIW). 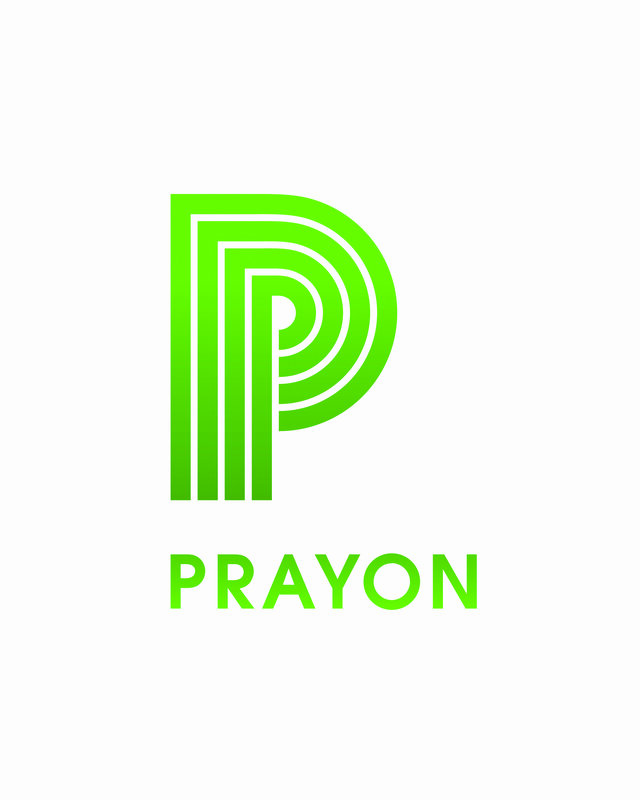 Prayon manufactures purified phosphoric acids, phosphate salts and fluorine products at sites in Belgium, France and in the United States and serves a global customer base. Prayon products are used in food (including baked goods, meat, processed cheese, fish and seafood, cereals, fruit and vegetables), drinks, pharmaceutical products (including toothpaste, oral hygiene products and excipients) and a broad range of industrial applications (e.g. paper, ceramics, glass, metal, and so on). The Prayon wet processes for phosphoric acid production and associated equipment (e.g. Prayon Filters) are marketed throughout and are used to produce over 50% of the world’s merchant grade phosphoric acid. 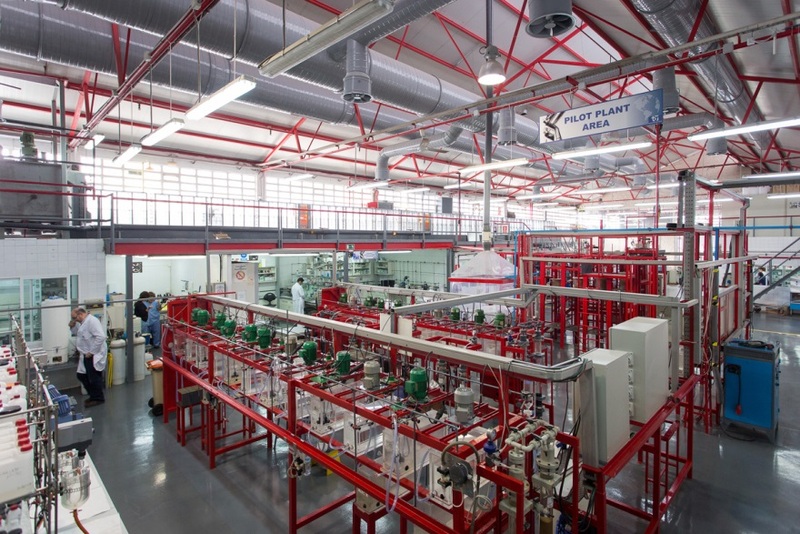 In order to diversify raw materials, Prayon has engaged some 20 different projects over the last two years, mostly business-to-business (confidential with concerned customer), covering food industry by-products, biomass energy and other ashes and spent reagents (on average 8 000 t/y of phosphoric acids recycled since 2000) see SCOPE Newsletter n°123. Vienna is a fast growing city with around 1.9 Mio inhabitants and one of the most livable cities in the world, among other things due to eco-friendly focusing and strategic planning. With regard to the closing of broken nutrient loops, already up to 45 000 t/year of high quality compost is produced every year from 100 000 t of organic waste collected in the city, containing around 110 t of phosphorus (P). This compost is used as a valuable fertiliser even in organic farming and the production of a valuable, natural earth. In the near future, also phosphorus from wastewater, more specifically from sewage sludge ash should find its way back to agricultural soils as a valuable fertiliser. The whole wastewater of the city of Vienna is treated in one wastewater treatment plant (capacity 4 Mio. population equivalents). The arising sewage sludge is incinerated in three fluidized bed reactors. The political will is to recover the c. 1 100 tP/y of valuable phosphorus present in the 12 000 t of sewage sludge ash. 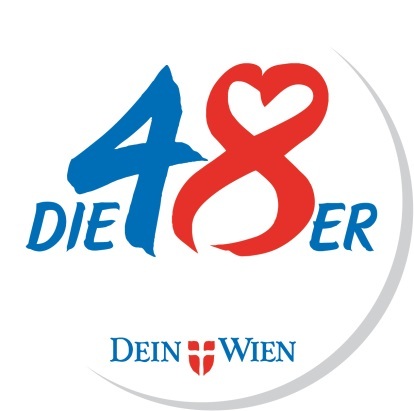 The municipal department 48 (MA 48) is responsible for waste management, street cleaning and vehicle fleet in the City of Vienna, and so for the residues from the incinerators, and is developing strategies to recover the phosphorus in the near future. Vienna City joins ESPP for comprehensive exchange of ideas, knowledge and experience in the field of phosphorus recovery. Furthermore, they believe that within a strong community of interest, it is possible to steer things in the right direction: closing of broken nutrient cycles. The European Commission (JRC) has circulated first draft “nutrient recovery rules” (outline for possible CMC – Component Material Category – criteria under the revised EU Fertilisers Regulation) for struvite (widened to recovered phosphate salts), biochars and pyrolysis products and ashes - STRUBIAS. The report and annexes include a detailed assessment explaining these proposed requirements. It is open to comment and can be consulted on the ESPP website www.phosphorusplatform.eu/regulatory . Please note that the Commission will only accept comments submitted by members of the STRUBIAS Expert Group, which includes ESPP, DPP (German Phosphorus Platform), ECN, EBA, EFPRA, Suez, Vienna City, Italpollina and Fertilisers Europe, as well as Member State representatives. If you have comments, please therefore send to ESPP by end July (), because ESPP must submit consolidated comments in August. This will be discussed at ESPP’s stakeholder meeting with the European Commission on 5th September. The proposed new EU Fertiliser Regulation is moving through the European Parliament decision process. The new regulation will enable sale of some specified recycled nutrient products across Europe and give “End-of-Waste” status to those products, so opening the EU market for nutrient recycling technologies. A total of around 1 900 amendments were tabled to the four committees which are addressing the Regulation (Environment ENVI, Agriculture AGRI, Internal Market IMCO and international trade INTA). Some important amendments proposed by ESPP, with Fertilisers Europe and the European Organic-Based Fertilizer Industry Consortium (ECOFI), have been partly adopted be one of these committees but this does not guarantee that they will be included in the final Parliament text (e.g. definition of “mineral” fertilisers and creation of a category to cover fertilisers with 1 - 7.5% organic carbon content, authorisation use of by-products such as sulphuric acid in fertiliser production …). The Parliament plenary vote is set for 13th September. At the same time, the Council (Member States) is also working on the proposal. As well as the issues above, other important questions are not today resolved, including use of ashes as a raw material for fertiliser production, animal by-products, traceability, interactions with the Nitrates Directive and REACH. Germany is the first EU member state to legislate to make phosphorus recycling from sewage sludge obligatory. The “Order for new organisation of sewage sludge valorisation”, approved by Federal Parliament 24th May 2017 (promulgation underway) modifies Germany’s legislation on sewage sludge management (Sewage Sludge Ordonnance) with two main objectives: to ban land application of biosolids for larger sewage works and require phosphorus recovery, and to fix tighter quality requirements and contaminant limits for biosolids applied to land. The new law will require phosphorus recovery if sewage sludge contains more than 2% phosphorus, such that either 50% of the phosphorus is recovered or such that the concentration is reduced to < 2% P, within either 12 or 15 years (works of > 100 000 or >50 000 p.e.). The phosphorus recovery can either be directly from the sewage sludge, or after thermal treatment of the sludge, or could be installed upstream in the sewage works, subject to achieving the required final recovery objectives. The larger sewage works, where phosphorus recovery will be obligatory, represent around 2/3 of German sewage sludge today. Today, just under 30% of German sewage sludge is used in agriculture. Finland’s current Government Programme (29/5/2015) fixes as objectives that 50% of sewage sludge and of manure should undergo advanced processing by 2025, in particular in eutrophication sensitive catchments such as the Baltic region. This has led to targeted funding for water protection and nutrient recycling in the Rural Development Programme. CIRCWASTE is a 7-year, 19 million € LIFE project (12 M€ EU funding), coordinated by the Finnish Environment Institute SYKE addressing a range of industrial and municipal wastes. Within this, LUKE is responsible for demonstrating the circular economy in the food chain in Southwest Finland, including nutrient recovery and recycling. This will address reducing food waste, using vegetable oils, finding food applications for agricultural by-products, nutrient recycling and biogas production from manures. A project from VTT is developing a ‘Resource Container’, within the RAK12 Ministry of the Environment programme, to treat wastewater and recover organic soil improver and nutrients. The containerised transportable plant will enable installation in small communities with significant summer population increases around the Baltic. In another project, BIOUREA, led by Käymäläseura Huusi Ry (Finland global dry toilet association), urine and composted faeces will be tested with farmers, to assess social acceptance, collection and management technologies, cost, crop effectiveness and regulatory aspects. The European Court has found that the UK failed to respect Urban Wastewater Treatment Directive obligations in 12 agglomerations, including failure to remove phosphorus in eight agglomerations in eutrophication Sensitive Areas in England. Issues in other agglomerations included storm overflows. However, all of identified compliance failures in the UK have now been resolved, except Gibraltar. Therefore, the UK was not fined by the European Court, and has had to pay legal costs only. In Gibraltar, municipal wastewater is not treated at all, but compliance is announced for end 2018. Spain is not reported to have commented. Funded by EU Horizon 2020, BioSTEP aims to engage citizens and stakeholders in the development of the EU’s bio-economy. BioSTEP has published a policy paper identifying necessary actions, and centred on the need for networking to support the bio-based and the circular economy. Recommendations include supporting SMEs in networks, including technology transfer and links to R&D centres, increasing civil society involvement, developing public awareness, instruments for stakeholder and public engagement, and public participation in policy definition. The partners of the North Sea Resources Roundabout Green Deal (The Netherlands, United Kingdom, France and Flanders) met in Brussels, at the Netherlands Embassy, on 4th April, to discuss progress after one year. Denmark, Austria and Germany were also present and interested to join the initiative which aims to facilitate recycling markets between participant countries through collaboration between regulators and companies. Sectors addressed to date are bottom ash, PVC, compost and struvite. Compost reported positive progress towards the objective of exporting Netherlands Twence company compost to the UK, with definition of logistics chains and progress towards End-of-Waste status. For struvite, discussion is underway to enable “mutual recognition” of authorisation of struvite as a fertiliser in some countries by other Member States where struvite is not authorised as a fertiliser (such as France). A 40-page brief document by the Netherlands Environmental Assessment Agency (PBL) discusses policy objectives for circular food systems. Priorities are identified as: management of natural resources (land, soil, water, biodiversity and minerals), optimum use of food (including moving towards a diet with less animal protein and less processed foods) and use of residue streams to avoid loss of biomass. Moerman’s Ladder and the Value Chain Pyramid are emphasised, with the order of priorities for actions: preventing food waste, recycling to human food, animal feed, use for bio-materials industry, fertiliser production (methanisation and composting), and lastly energy production. In the chapter on closing mineral cycles, it is noted that nutrient surpluses and environmental losses have been considerably reduced (e.g. phosphorus surplus reduced by 88% between 1986-2013) but challenges remain. Nitrogen from chicken litter is lost in incineration. Some nutrients in slaughterhouse waste, in food and beverage industry by-products and in household organic wastes, and much of the nutrients in sewage sludge are today not recycled. Also, data on nutrient flows in the Netherlands food system needs updating, since the most recent study is for 2011 (Smit et al. 2015). The Everglades Foundation George Barley Water Prize Stage 2 (US$ 80 000) is open for submissions. Deadline to request materials = 15th July 2017 at no cost. It is recommend to make your request far in advance of the deadline. This is critical to allow for ample shipping and testing time. Stage 2 applicants must demonstrate their technology effectiveness in lab conditions for consecutive weeks at the laboratory scale (processing c. 24 litres/hour see exact specifications in application materials). Applicants will submit daily inflow and outflow samples from their technology. This competition stage is open to all contestants, without any pre-assessment or qualification criteria, irrespective of whether or not you submitted to Stage 1 of the Prize. Applicants will use a provided phosphorus standard to run their technology, collect and test samples, then provide evidence supporting their technology. Read more about Stage 2 of the Prize at www.barleyprize.com. To assist you in building your Stage 2 submission, review the webinar recording about the judging criteria, application process, and logistical details. Email with any questions. Deadline to request materials = 15th July 2017. Phos4life is the name now used for the process for phosphorus recovery process from sewage sludge incineration ash (SSIA), for which development is led by Zurich Kanton (AWEL) and ZAR (Zentrum für nachhaltige Abfall- und Ressourcennutzung). A 3.3 million Swiss Franc (CHF) industrial development and pilot program was announced in 2015 (see SCOPE Newsletter n° 119). The process developed together with Técnicas Reunidas and successfully tested under micro-pilot plant operation in Madrid uses sulphuric acid (at 96%) to solubilise phosphorus and other elements in the ash, then hydrochloric acid and solvent extraction to separate phosphorus acid from iron chloride solution and heavy metals. The full scale process is planned to treat 30 000 t/year of SSIA, to produce 11 000 t/year of 74% phosphoric acid (after concentration using steam), 34 000 t/y of 40% iron chloride solution for recycling as coagulant agent in waste water treatment plants and 42 000 t/y of a residue which can be used by the cement industry. Heavy metal contaminants are nearly completely (>85%) transferred to a metal concentrate for metal recycling. The initial test results show the following recovering rates of the total potential in the SSIA: Phosphorus >95% (as phosphoric acid); iron: >90% (as iron-chloride solution). The total net cost for the thermal treatment of the digested and dewatered sewage sludge (DDSS), at 30% dry matter, including the Phos4life-process to recover the above materials out of the SSIA is around 170 CHF/t DDSS after deducting around 60 CHF (55 €) estimated revenues for phosphoric acid and other products. This is 70 CHF/ t DDSS higher than the thermal treatment only of DDSS today, but is lower than the treatment of DDSS before the system change to a single centralized mono-incineration plant for the entire Zurich Kanton. These initial test results will be presented to stakeholders 6th September 2017, Zurich, Switzerland. Energy and resource recovery potential are compared in a conventional chemical phosphorus removal waste water treatment plant (WWTP) with anaerobic sludge digestion, an upgraded plant and a new design WWTP. The upgraded plant included adding thermal sludge hydrolysis to increase degradability and so maximise biogas production in anaerobic digestion, and an nitritation/Annnamox process to remove the increased ammonia generated in the anaerobic digester. The new design (Batstone et al.) has very short secondary biological treatment time minimising nitrogen consumption, with Pherodox (A/O) biological P-removal, thermal hydrolysis of sludge to maximise methane production potential, anaerobic sludge digestion, struvite precipitation and nitritation/Annamox. About 29% of influent COD was converted to biogas in the conventional plant, compared to 36% and 34% in the upgraded and new design plants. Energy self-sufficiency was possibly with some influent C/N ratios in the upgraded plant and achieved for all influents in the new design plant. A 63 page report for BAFU, the Swiss Federal Environment Office, identifies and provides a comparison table between 20 different technologies for phosphorus recycling. The technologies were identified as being feasibly available for implementation within the delay fixed by Swiss legislation (see SCOPE Newsletter n°105) which requires phosphorus recovery from sewage sludge and meat and bone meal ash within 10 years. The processes considered include phosphate precipitation from sludge/liquor, acid and thermochemical digestion of sludge and of incineration ashes. 14 criteria and 25 sub-criteria were assessed including potential P-recovery rate, environmental performance (chemical consumption, waste, removal of contaminants), recovered product market and legal constraints (fertiliser authorisation, REACH), compatibility with Swiss infrastructure and legal context, and costs. The overall conclusion is that a number of technologies are available and feasible within the 10 year legal obligation horizon, but that processes must be further assessed for compatibility with specific local conditions. Technologies assessed are: struvite precipitation (Ostara, Struvia, NuReSys, Crystallactor, Airprex and Ekobalans); acid sludge digestion followed by phosphate precipitation (Budenheim, Gifhorn and Stuttgart); thermochemical slag or bio-coal (Kubota, Mephrec, Pyreg and Susteen), P-recovery from ashes (EcoPhos, AshDec, ICL thermal P4 production, LeachPhos and ZAR, Reco-Phos Germany, TetraPhos). Nitrogen transformation to nitrate during 90 days soil aerobic incubation (60% water WHC, 25°C) was compared between urea mineral fertiliser, anaerobically stabilised sewage sludge (sewage works configuration not specified, digestate (input half bovine slurry half maze silage) and compost (input lingo-cellulose residues and organic fraction of municipal waste). The organic materials were dried at 105°C for 24 hours, presumably eliminating biological activity. Materials were added to soil at levels defined to provide the same total nitrogen, equivalent to 16.2 t/ha compost, 6.5 t/ha sewage sludge, 1.9 t/ha digestate and 0.7 t/ha urea. After 90 days, 87% of the urea was converted to nitrate, compared to 86% for digestate, 71% for compost and 66% for sewage sludge. Even after 30 days, the mineralisation of the digestate was not statistically different from that of the urea. The authors conclude that “around 90% of the nitrogen content in the digestate is short acting” and that “digestate could replace traditional mineral fertilisers”. Fertiliser company Yara, which also exploits Europe’s only phosphate rock mine in Finland, has published a 3-page position paper on the circular economy. Around 11 million tons nitrogen (N) and 1 - 1.5 million tons phosphorus (P) are used in mineral fertilisers annually in Europe. Yara “sees the circular economy as an opportunity to improve sustainability performance in our markets, potentially leading to new business avenues”. Yara’s priorities are avoiding waste (food waste and losses of nutrients from fields), industrial symbiosis and closing the nutrient cycle. Yara is working on a circular approach to nutrients from secondary raw materials, with criteria of guaranteeing food safety, ensuring crop availability of nutrients, and respecting worker and environmental health and safety. Yara’s actions include nutrient analysis and recommendation services to farmers, use of gypsum as a phosphorus trap to reduce field run-off, N-SensorTM precision farming system, recovering phosphorus from mine tailings, industrial symbiosis (use of hydrogen, carbon monoxide, waste energy), and use of pyrite from another company’s mine tailings to help process phosphate rock. The European Food Safety Agency (EFSA) has published an assessment of the safety and efficacy of phytase as a feed additive for fish. The enzyme phytase is today widely used in poultry and pig feed because it improves digestability of phytate, in which molecule is found a significant part of phosphorus in plant products and in particular grains, and which is not accessible to mono-gastric animals. The EFSA Scientific Opinion assesses OPTIPHOS®, a preparation of 6-phytase, produced by a genetically modified strain of Komagataella pastoris (previously Pichia p., DSM 23036) and follows previous EFSA Opinions (2011, 2015) on OPTIPHOS®, assessing safety and efficacy for pig feed and considering the environment, the consumer, the user and the genetic modification. The latest ESFA Opinion concludes, based on studies in trout and salmon, that the product is safe and efficacious for all finfish species. A review of over 140 studies of biochars summarises how biochars can impact crop productivity and factors impacting their effectiveness. See also the summary of two 2016 literature review on biochars, Lichun Dai et al. and Fernanda Aller in SCOPE Newsletter n°123. This review notes that biochars can improve soil characteristics by increasing soil pH, by providing a substrate for soil microbial activity (due to biochar porosity), by improving nutrient and water retention and soil carbon content, but underlines that effects are very-much locally specific to soil – crop – biochar interactions. The review notes that most biochars tested to date, derived from wood biomass or crop wastes, have low nutrient content, whereas biochars from manures or sewage sludge will also bring nutrients to soil. Some biochars, particularly from municipal food waste or sewage sludge, may have negative effects on crop response because of high sodium content (increasing soil salinity). Levels of contaminants such as VOCs (volatile organic carbons) or heavy metals will depend on pyrolysis conditions and input materials and should be verified as appropriate. DVO, with local onsite engineering company WithersRavenel, have installed the biggest biogas digester in North Carolina at Storms Farm, Bladenboro, treating manure from 29 000 pigs and 444 000 chickens and producing 600 kWh of electricity, now increased to 975 kWh. The project upgraded pig housing to a scraper system, which reduces manure dilution as well as reducing in-stable ammonia emissions, and uses a 3.2 million litre in-ground Two-Stage Mixed Plug Flow™ heated mesophilic digester, designed by DVO. The digestate is then treated in the DVO ‘Phosphorus Recovery’ system, which employs a bio-degradable polymer to bind and remove phosphorus, organic nitrogen and other valuable micro-nutrients from manure slurry, enabling recovery of phosphorus-rich organic solids. These solids containing 90% of the manure phosphorus content and are a stable, stackable, transportable, organic fertiliser product, pathogen-reduced to the point where harmful pathogens such as e-coli and salmonella are often not detected (DVO can add heat treatment/pasteurisation is required). The purified water after flotation has a fraction of the ‘pollution potential’ of raw animal wastes and can be irrigated locally. DVO digesters make up 31 of the 34 American Biogas Council (ABC)’s first Longevity Awards, operating continuously for more than 5 years, and in 7 cases more than 10 years. DVO’s Phosphorus Recovery system was one of the top 10 awards in the US EPA’s Nutrient Recycling Challenge Award for Phosphorus Recovery 2016. Newtrient (www.newtrient.com) is established by the US dairy industry to address manure nutrient sustainable management, with the aim of converting manure from a problem for farmers into an opportunity. Its members represent over half of total US milk production and the totality of US milk quality validation. The company has established an online catalogue of manure nutrient technologies and suppliers, ranging from solid-liquid separation to nutrient and energy recovery. The searchable catalogue covers 180 technologies identified as currently operating on the market and are included in the searchable catalogue, of which 60 specifically address nutrient recovery. After assessment, Newtrient has labelled some of the suppliers/technologies as “Recognised” or “Emerging Technology (identified as promising and heading in the right direction). Information from other technology suppliers to extend and update the catalogue is invited. The 35 page Nutrient Management Handbook published by IFA (International Fertilizers Association), with the World Farmers’ Organisation and GACSA (Global Alliance for Climate Smart Agriculture) summarises why plants need nutrients, what are nutrient use efficiency and effectiveness, nutrient loss pathways, the need for soil fertility, nutrient stewardship and links to sustainability. Plants need seventeen elements: C, H and O; three primary macro-nutrients (N, P, K), secondary macro-nutrients (S, Mg, Ca) and micro-nutrients (Fe, Mn, Zn, Cu, B, Mo, Cl and Ni). Nutrient use efficiency (NUE) is defined as the percentage of total applied nutrients (from all sources) which is taken up by the crop. This does not always mean optimal effectiveness, as high can be achieved by depleting soil nutrients or by low crop productivity. Nutrient stewardship is based on the 4 R’s: right source (fertiliser in the right form according to crop needs), right application rate, right time and right place (ensuring that the nutrient stays in the root zone where the plant can access it). Data from nearly 200 studies is cited showing that fertiliser application leads to a c. 10% increase in soil carbon (compared to no-fertiliser controls). Environmental impacts (losses to water and climate change emissions) for different fertiliser types and applications are discussed. A key conclusion is that mineral fertilisers must not be considered in isolation from the use of organic nutrients, crop variety selection, water and soil management. Not for nutrient recycling, but distilled cow urine sells for around 1.5 €/litre in India, and can now be found on sale in the UK. India’s indigenous Bos indicus cows are considered sacred by Hindus. Collection of urine from the country’s retired dairy cows, which cannot be slaughtered or eaten, can contribute to the costs of their keep. The urine is used in religious ceremonies, but also in various traditional medicines. Scientists warn however that it can also transmit diseases such as leptospirosis, arthritis-causing brucellosis or Q-fever. The UK Food Standards Agency states that it is illegal to sell cow urine for human consumption. In India, cow urine is also processed into floor cleaner (Gaunyle, from the Holy Cow Foundation), soaps, disinfectants and elixirs. A difficulty is the urine collection, unlike for milking, it is difficult to predict when cows will urinate. Fertilizers Europe have published a 4-page illustrated fact sheet to support discussion of the EU Fertilisers Regulation. The industry estimates that mineral fertilisers account for 50% of global food production, so are essential to feed the world. The importance of organic fertilisers, indicating that manures account for over 60% of phosphorus inputs to agriculture in Europe. Mineral fertilisers however offer advantages of transport, predictable effect on crop yield and nutrient use efficiency. Only 55g of mineral fertiliser are needed to produce 1 kg of bread. Fertilizers Europe identifies several priority concerns in the Fertilisers Regulation proposal: the need for a proper definition of “mineral fertilisers” (very low organic carbon and phosphorus solubility), cadmium limits, biodegradability requirements for polymers used in slow release fertilisers, and reduced bureaucracy. Danish Brewery Nørrebro Bryghus has released a beer made from barley fertilised with 54 000 litres of human urine collected from the Roskilde Music Festival, near Copenhagen, Northern Europe’s largest music festival with 100 000 public. The urine was applied sprayed onto fields in Spring 2016, replacing manure or mineral fertiliser, and producing 11 tonnes of malt barley and some 60 000 bottles of ‘Pisner’. The “beercyling” project was supported by the Danish Agriculture and Food Council (DAFC) to change the image of waste, and because the festival urine was posing issues to the sewage treatment system. Previously, Ghent University had produce “Sewer to Brewer” beer from Roskilde urine, using solar energy to evaporate the urine, then a membrane separation system to produce clean water (this was then used in beer production) and fertiliser nutrients, without needing an electricity supply. A 30 minute online tutorial, summarising conclusions of the EU-funded FP7 CORE Organic IMPROVE-P project, presents the importance of phosphorus for organic farming and opportunities offered by recycled phosphate fertilisers. Aspects covered include available technologies, phosphorus plant availability, life cycle assessment, regulations and stakeholder attitudes. About 40% of organically farmed fields in Germany are low in phosphorus. Recycled P fertilisers show better plant nutrient availability than phosphate rock, which is used as in organic farming. Attention needs to be engaged to avoid pollutants such as pharmaceuticals, organic chemicals, plastics or heavy metals, but only 25% of interviewed stakeholders considered that the use of recycled fertiliser is negative for the image of organic farming. Global Water Intelligence magazine provides an 8-page overview of developing technologies for energy and resource recovery from sewage sludges. Pyrolysis and thermal hydrolysis processes are presented as having potential to recover energy potential as syngas or hydrogen, with a number of technology suppliers active including Kore Infrastructure, PHG Energy, Metawater, Tsukishima Kikai, Gennifuel, Antaco and AVA-CO2. Struvite phosphorus recovery is presented (e.g. Ostara, NuReSys, CNP) including after prior acid dissolution to increase soluble phosphorus available for recovery. Ecophos and Remondis technologies for phosphorus recovery from sludge ash, and Budenheim for P-recovery from sludge are cited. Other potentially recoverable materials in sewage sludge are cited as plasmids (DNA strands), bio-isoprene (for rubber manufacture) and rare metals. In eNews 11, we presented two Life Cycle Analysis studies by Kjerstadius et al. comparing source separation of domestic wastewater and food waste to current conventional sewage treatment systems, concluding that higher nutrient recovery rates result from the former. The authors underline that their conclusions result from data that only around ¼ of sewage biosolids are currently returned to agriculture in Sweden. In theory all sewage biosolids could be recycled to agriculture, but they note that debate about pollutants in sewage biosolids poses an obstacle to this. The LCA also compares source separation with nutrient recovery installed to conventional sewerage and sewage works without nutrient recovery. Starts with a 1 day workshop on ‘Irish phosphorus sustainability’ to establish the need for an Irish nutrient platform, and First conference of the Ireland EPA funded project "Phosphorus from wastewater: Novel technologies for advanced treatment and reuse". Short presentations from European Projects related to Water and Microalgae are welcome. Meeting by Swiss Federal Agriculture and Environment offices to present revised Swiss Fertiliser Regulation requirements. RAMIRAN (Recycling of Agricultural, Municipal and Industrial Residues in Agriculture Network) is a research and expertise network dealing with environmental issues relating to the use of livestock manure and other organic residues in agriculture. In cooperation with the Dutch Nutrient Platform. A facultative field trip with exclusive site visits to local manure processing installations will be organised on 29 November 2017. This course will review the design and operation of the main markets available for N and P removal technologies. Gathering for decision-makers representing the fertilizer, feed and industrial phosphates industries.